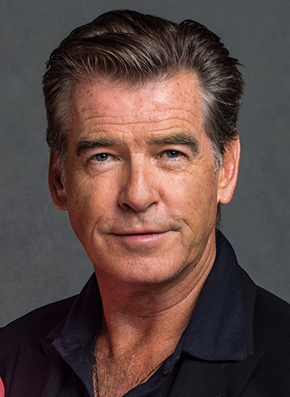 Pierce Brosnan first gained consideration in 1982, with his title role in the television detective series Remington Steele. Upon the retirement of Roger Moore, Brosnan was slated to star in the 1987 Bond film, The Living Daylights, but a contractual obligation forced him to remain with his TV show. Brosnan would finally get a chance to play Agent 007 eight years later in 1995's Goldeneye. Brosnan went to star in three more Bond films.